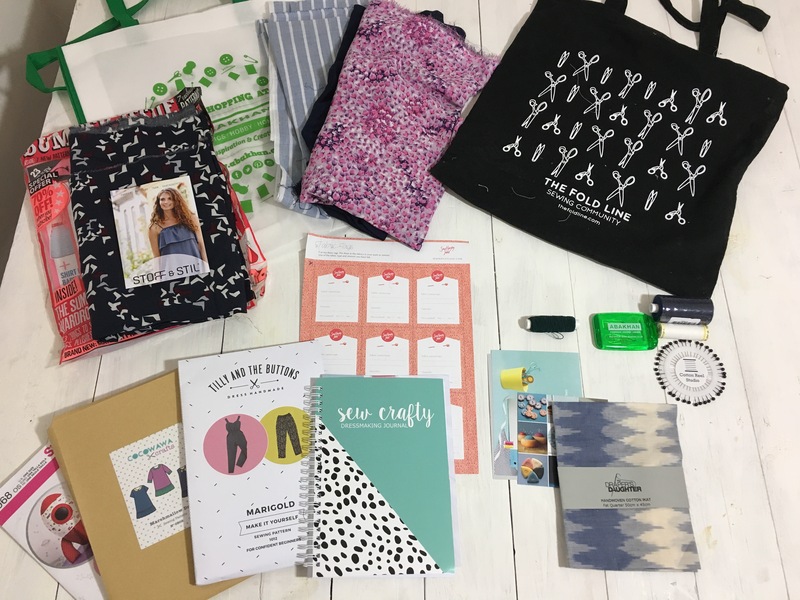 Well, last weekend was the much anticipated Sewing Weekender hosted by The Fold Line ladies, Rachel and Kate, and Charlotte from English Girl at Home. I very lucky to get a ticket as they sold out crazy fast! For anyone who has no idea what the Sewing Weekender is, it’s a sewing holiday! 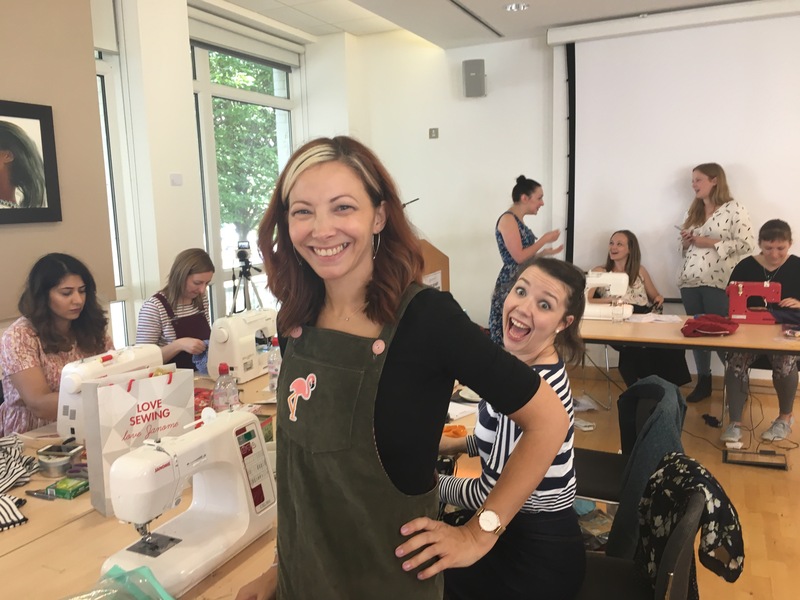 50 of so sewists crowded in a large room at Murray Edwards College, Cambridge full of sewing machines and more! 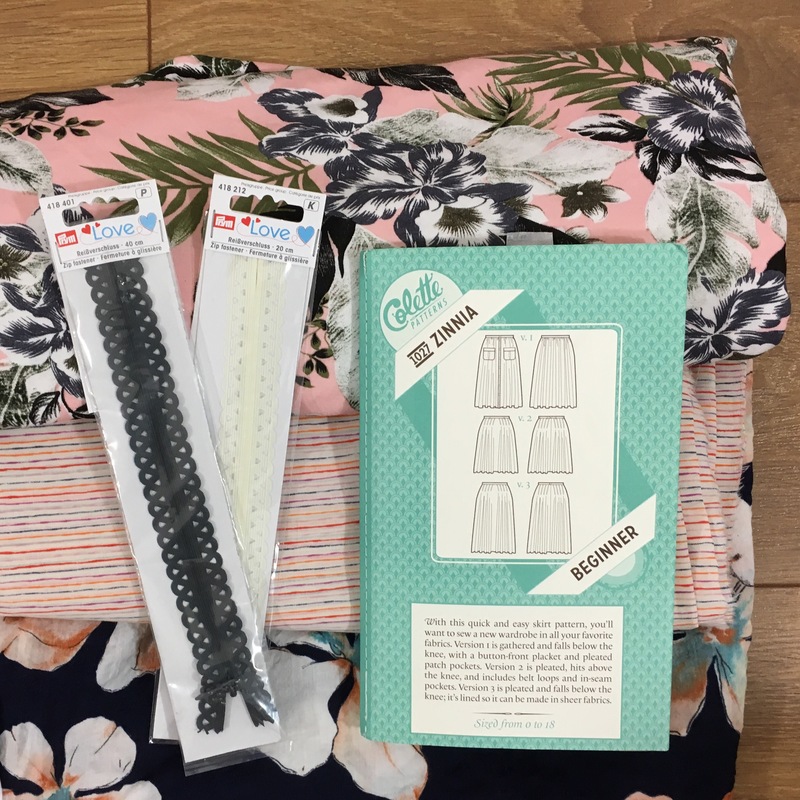 I was straight to the fabric and pattern swap! I brought a few bits of fabric (I’m going to be keeping an eye out on Instagram to see if thy turn up anywhere!) and I went away with these gems! It’s funny how one sewist’s rubbish is another ones treasure! Lol. At an event like this you’ll undoubtedly run into lots of bloggers and Instagrammers that you recognise. There’s a lot of that awkward ‘I know you but I promise I’m not a stalker’ thing going on! I was lucky to meet a lot of people in real life that I follow and it’s great to match up those social media accounts to real people! I was seated next to the lovely Sarah from Like Sew Amazing and you can see Stef from @stefmakes just behind her! I also had Meg from Pigeon Wishes on my other side. This Cleo dress tha Sarah is wearing is the one she made over the weekend! There was a raffle draw and I won two sewing books! I think the No Patterns Needed book by Rosie Martin is going to be a favourite. I’ve already picked out a couple of things I want to make from it! 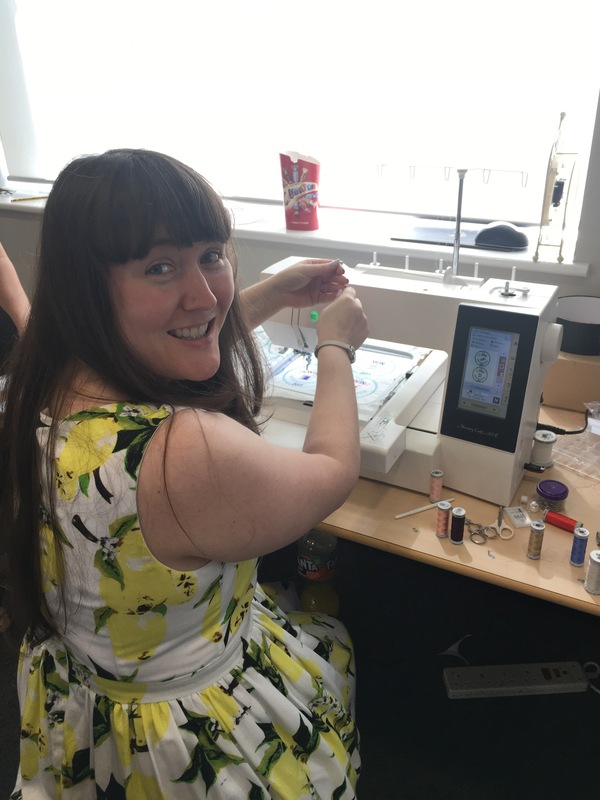 Elle from Sew Positivity was working crazy hard churning out Sewing Weekender badges on here amazing Janome embroidery machine. It was fascinating to watch the machine go – it was all very high tech! 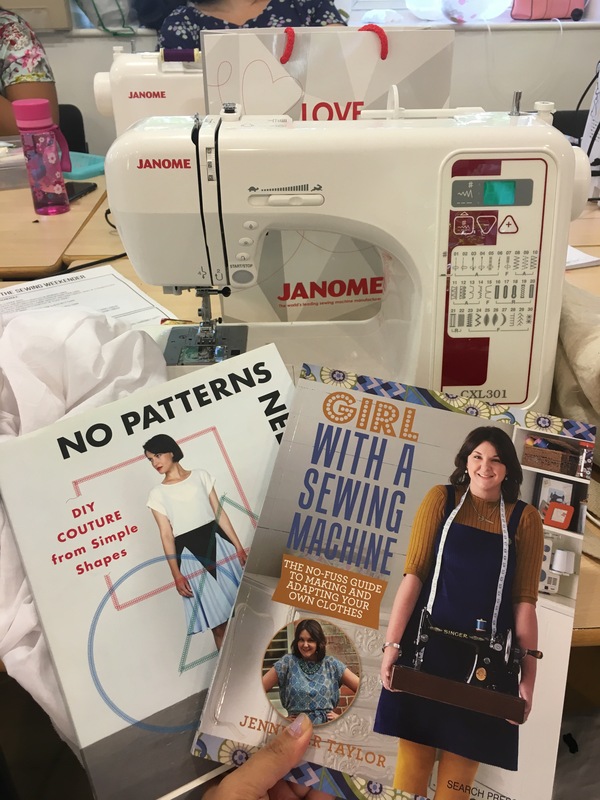 The weekend’s sewing was interspersed with talks from Portia Lawrie who spoke about her Refashioners series, Fiona Parker who told us all about her costume supervisor role in theatre – so fascinating! Melissa Fehr of Fehr trade spoke about designing and fitting for movement and Elena Rosa Brown talked about mindfulness and learning to enjoy sewing. Here’s a snapshot of the massive goodie bag each attendee got! And finally a picture of Cambridge! We didn’t get to see much of the city at all – we were all much to busy talking about sewing to venture too far in! Every time I go to a sewing meet up, whether it’s just a small fabric swap or a big one like this, I’m always overwhelmed at just how lovely everyone is. If any of you are worried about going to these things solo, don’t be! Most of us come by ourselves knowing that we’ll leave with a ton of new friends. It’s a truly great community to be a part of. I literally can’t wait for the next Sewing Weekender. It was an amazing weekend! I wish it could happen more often! 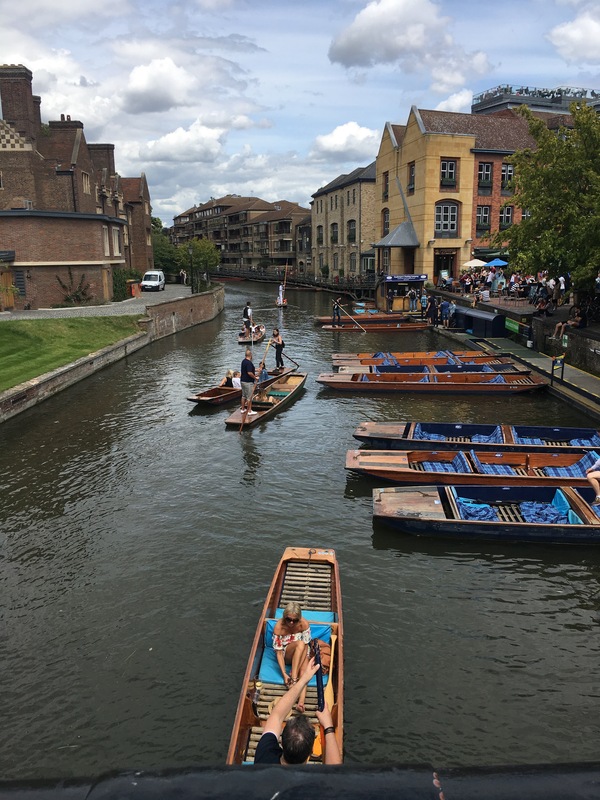 I wish I could have been there – I kept spotting the updates on Instagram and it looked so much fun! That goody bag is amazing and the fabrics you snapped up are gorgeous. What are you going to make with them? Haven’t quite decided yet! To be honest there’s probs not enough of each to do anything crazy with so they’ll probably become blouses or camisoles!